I recently picked up and reviewed some products from Annabelle’s Spring 2017 collection. 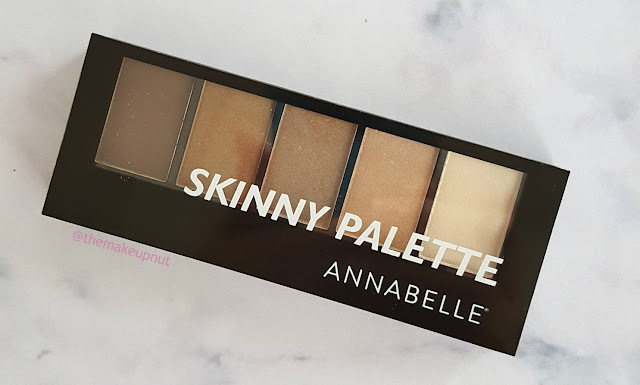 One of the stand out and one of my favorites is the Annabelle Skinny Palette ($9.95). 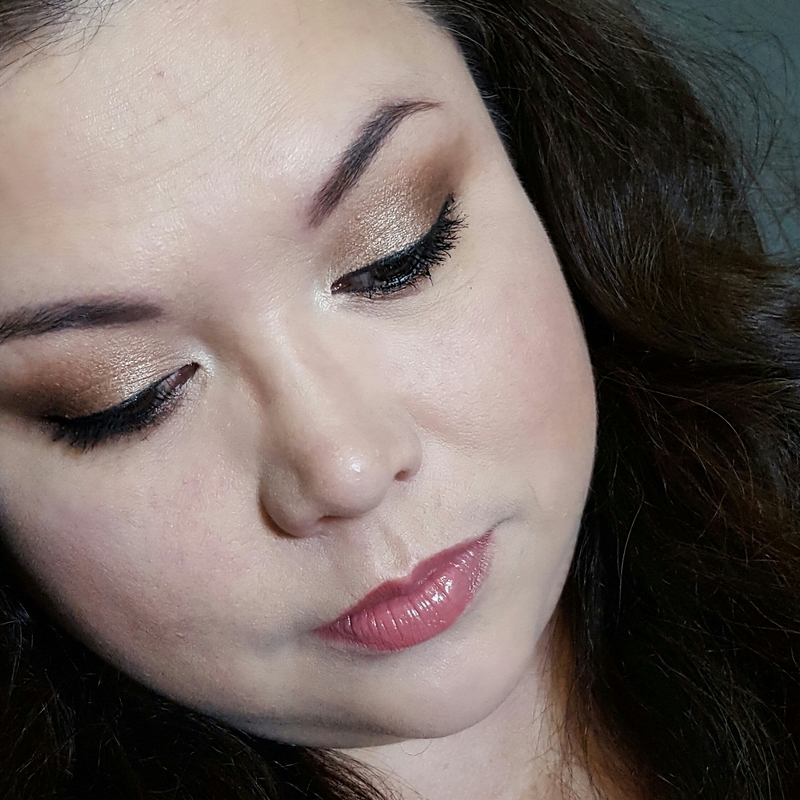 There are six palettes to choose from ranging from rosy, taupes to purples and khaki tones. 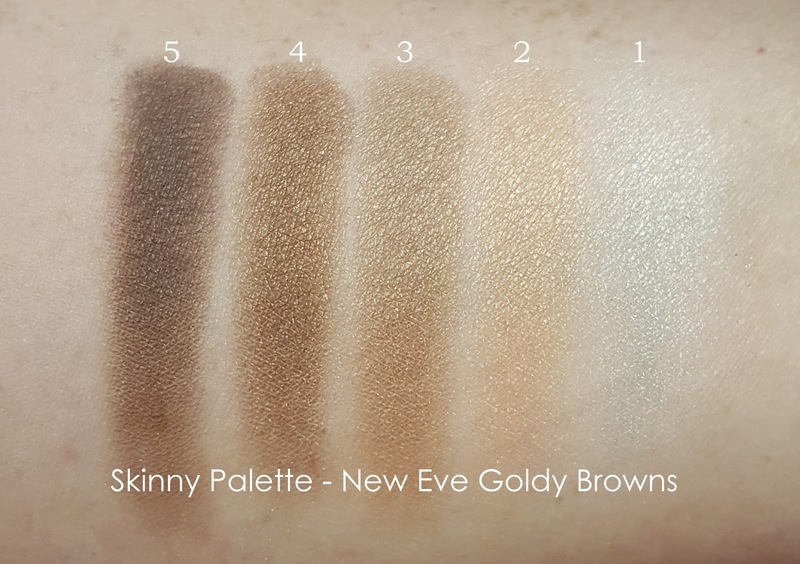 The one I have for you today is the New Eve Goldy Browns. 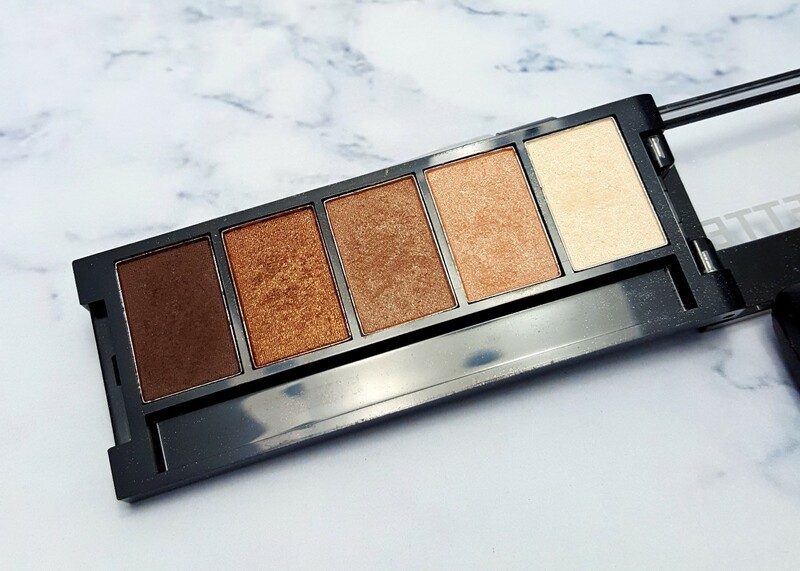 The Skinny Palettes come in a pocket sized rectangle black plastic case that opens length wise from the left. It took me a minute to figure out which side opened. They also comes with a small dual ended brush; a sponge on one end and a brush on the other. To be honest, I do not know what happened to my brush as I lost it. It didn’t do much for applying the shadows anyhow. It is probably under my bed in the 'Sami nest'. My dog is like a squirrel with toys and bones under there. I occasionally find stuff I have been looking for like missing socks, brushes, my glasses. While #5 is considered an eyeliner, I have been using it as an matte shade to deepen my outer V area. All the shadows are quite smooth, creamy to the touch and reasonably pigmented. When I was checking my collection for any dupes, I found that formula wise these almost compare to my Too Faced Semi Sweet Chocolate palette. What? Yeah I said it! The Skinny Palette only being a hair drier. I mean very slightly. The middle shade #3 is close in shade to Mousse and #5 is very close to Puddin’. I haven’t experienced any fallout from these shadows and with a primer theylast all day for me with minimal fading by the 9 hour mark. Honestly, I wasn’t expecting much from this palette as I thought it was a little basic. DO NOT judge a book by its cover! The Goldy Browns is a nice surprise for me. I think Annabelle has a winner with these Skinny Palettes at least the New Eve Golden Browns. It’s turning out to be a great every day palette for me. Now I have to try some of the other Skinny Palettes. You get yourself some too. Available online at Annabelle.com, Shoppers Drug Mart, London Drugs, anywhere Annabelle cosmetics are sold. hello,do you review hair extensions? Sorry i can not find your contact info.